The down jacket is equivalent to the leather bomber for any man who lives in an urban dwelling fit for a polar bear. We’re talking about cold; really cold. The kind of weather that may make you worry less about style, and more about salvaging your frozen limbs so that they can make it through another winter. But it doesn’t have to be that way. 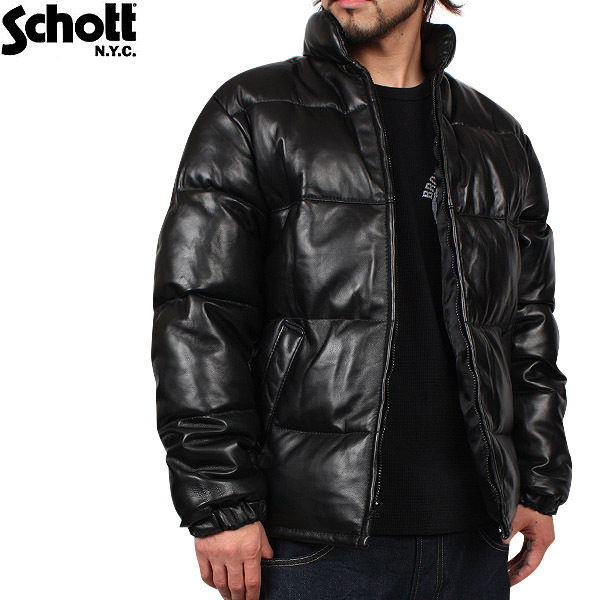 Style and warmth is the calling card of such designers as Mackage and Schott. You can have your cake – and it doesn’t have to be frozen solid. 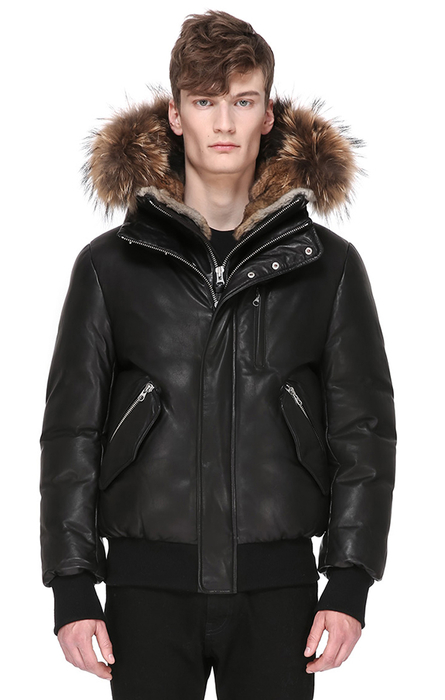 Fur-lined parkas are not usually our thing, but this Mackage leather bomber/parka is the cure for what normally ails these winter coats. It is oversized, yes, but also sleek, thanks to its soft leather and smooth lines. It’s rugged, down to business, giving the fur collar a statement of necessity, rather than glorification. You know what may actually be worse than being cold? Being caught downtown with a down puffer jacket that makes you look like a moldy, roasted marshmallow. Yeah, well not going to happen with this slick leather puffer that tosses the puffballs in exchange for some lambskin man bumps that appear more like herculean muscle than anything else. Goose down and lambskin go together well, and they keep you warm too. 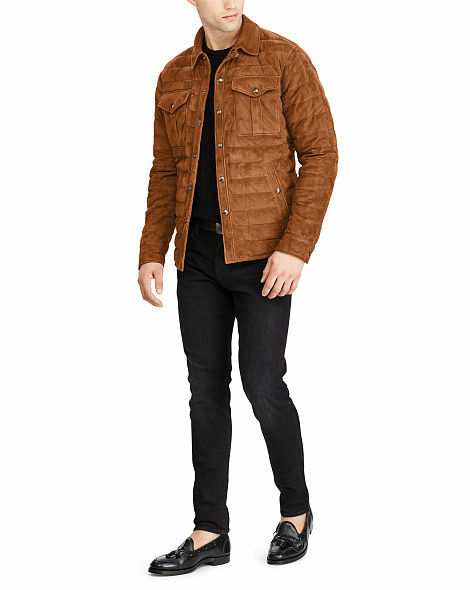 Okay, so style and warmth do not always have to be so shiny – case and point, this fine suede puffer from Ralph Lauren. It features 90 percent American white duck down (750 fill power) and plenty of lightweight lambs suede to keep all this good stuff in place. This look makes the frigid cold – actually look good.